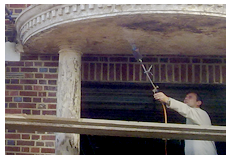 Our experience team is expert in repointing including Brick Pointing, Brick Repointing. 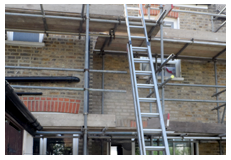 Repointing Brick offer a vast range of Brick Cleaning,masonry services and structural repairs in London and beyond that makes us recognised as leading professionals of Pointing, Repointing, Brick Works, Paint Removal, Pebbledash Removal and Brick Cleaning. With our expertise, knowledge and being connected to this industry for many years, we guarantee to satisfy our customer needs. Our specialist skills and organised processes always keep us ahead of the game. Regardless of project size and nature of work, our professionals focus on quality of work, unique processing techniques and timely completion of work. Although a number of services and methods can be provided to refurbish the commercial or residential structure, our experts guarantee to suggest the most appropriate one. We are the complete one-stop-shop for construction and renovation of structures and work towards making our end result even more exceptional than Customer’s expectations. Courteous and qualified workforce follows the traditional and modern ways to complete the project successfully and within budget. 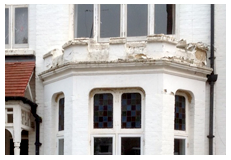 Our services range from Pointing a new building to existing structures Restoration. Our Pointing services throughout London and beyond entail filling the brickwork with mortar of cement and sand, ensuring the accurate colour, texture, style and bricks to compliment the structures age and appearance. To extend the life of structures and enhance the attractiveness, Repointing Brick London are the connoisseurs at this. Corporate landlords and estate agents avail these services to increase attractiveness and the condition of their properties to rent or to sell to buyers. While implementing masonry work, the skilled technicians make sure they avoid any disruption to the customer. Repointing Brick London with our Brick repair London is always at hand to thrash out quality brick restoration services that removes the damaged bricks from the building and making it unnoticeable. These structural repairing techniques are also worthwhile where masonry cracks occurs and foundations or walls move from their original position. 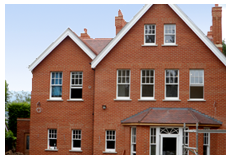 Our contractors have designed customised projects based on the client’s requirements. As reputable and reliable service providers, our main objective is to provide solutions that work within budget to our client’s problems. When buildings natural beauty is hidden due to dust or fungi caused by humidity, Repointing Brick London is the most appropriate solution as compare to paint removal. Paint removal from brick is a service that is popular when clients want to change existing paint colour or repaint it for building maintenance. To find an economical and quality service for construction or restoration of structures do not hesitate to contact us.